ATTENTION! 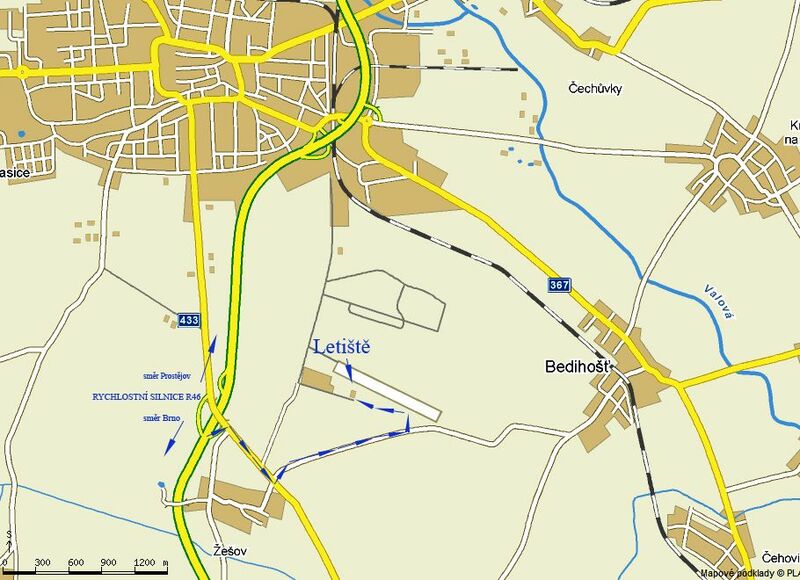 IF YOU WRITE “LETIŠTĚ PROSTĚJOV” (PROSTĚJOV AIRPORT) INTO YOUR SAT-NAV IT WILL SHOW YOU THE WAY TO THE ARMY PART OF THE AIRPORT. Do you use Google Maps? Put in this place. Then continue until you reach the “no entry” zone with an additional sign “except for the members of aviation club”. Using Street View feature look at the last intersection before the airport. The sat-nav would otherwise show you a detour (see picture). Drive on the motorway (number R46) and use the Prostějov jih-south exit 21. On “T” turn right to the road number 433 and continue towards Výšovice. Drive for about 500 metres and turn left to the “no entry” zone – Dropzone Prostějov clients are an exception. Drive further 500 metres and take the first turn on the left. The airport will be right ahead and the parachuting centre JUMP-TANDEM will be the first building you see. Drive through Prostějov and continue towards Vyškov (Brno) to an OMV petrol station. Drive through this petrol station to the road number 433. After you leave the station, turn left to the “no entry” zone – Prostějov Airport clients are an exception. Drive further 500 metres and take the first turn on the left. 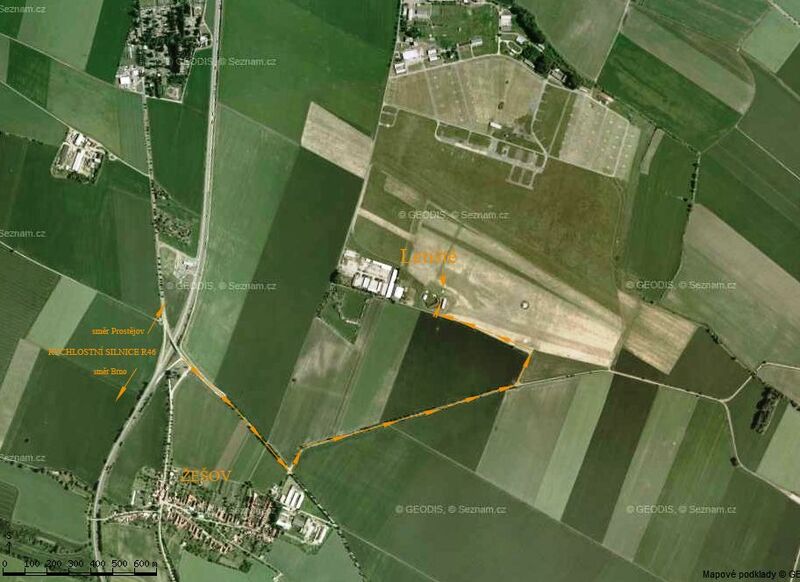 The airport will be right ahead and the parachuting centre JUMP-TANDEM will be the first building you see. We can organize a tandem jump at any other airport in the Czech Republic. If you wish to be advised on the individual pricing of these sessions, please contact us.